is today’s society which is why we strive to complete our projects in a timely manner. and most efficient technology is being used to complete your product. 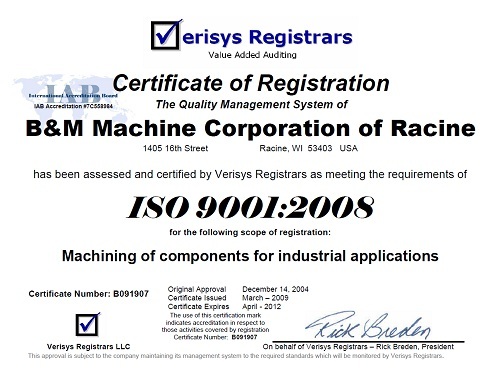 We are an ISO 9001:2008 Certified organization. © 2007 B&M Machine Corp. All Rights Reserved. Materials may not be copied or distributed without the consent of B&M Machine Corp. This site follows W3C organized Web Standards.